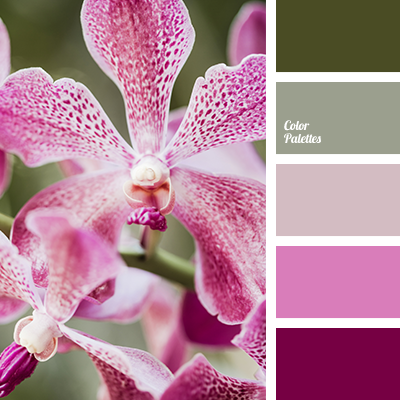 Soft combination of eggplant colour, pink, pink-gray and gray is contrastingly supplemented by olive green shade. 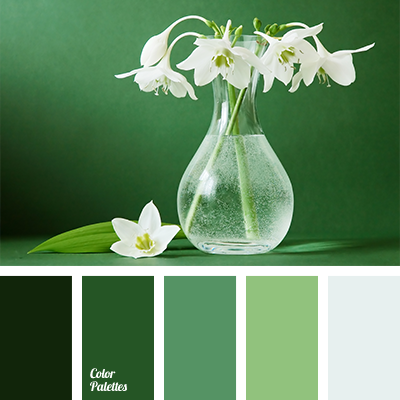 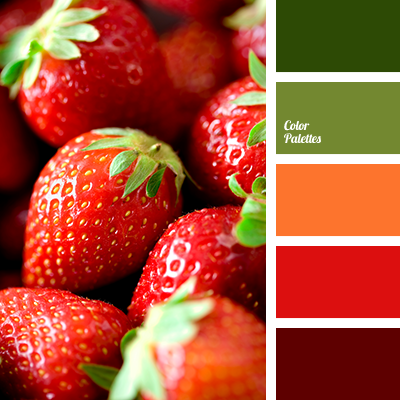 This colour scheme is suitable for stylish decor of a wedding table and festive decoration of a room with flowers, garlands, balloons. 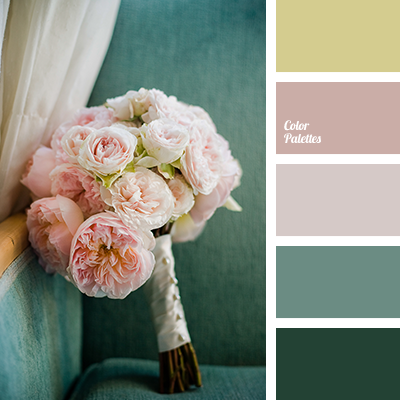 Pink satin and delicate pink-gray shades combined with olive green will make wedding decoration interesting and exclusive. 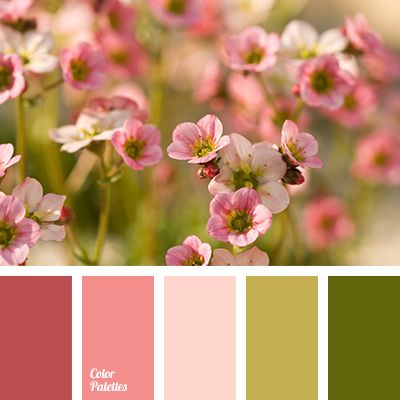 colour combination for a wedding, colour combination for the interior, colour of pink rose, colour of pink rose bud, colour of rose, colour solution for a wedding, designer palettes, green and beige, green and peach, green and pink, lilac, palette for spring, pastel pink, pink and beige, pink and green, pink and peach, rich lilac, shades of pink, shades of pink colour, shades of warm pink colour, warm pink.